So went the persuasive pleas of my five-year old granddaughter recently. I’d just asked her to finish putting away toys so we would have time to play at the neighborhood park. Apparently, a ‘pinky promise’ is when she and another person interlock their two smallest fingers together and vow to do or not do something. A ‘pinky promise’ is the most binding promise in her young mind! We ‘pinky-promised.’ Honestly, I don’t remember how well she followed through with her task, but I do remember having a wonderful time at the playground! It’s my desire for her to learn the importance of keeping promises. And I commit to follow-through on my promises to her. I want her to trust me. Jesus always keeps His promises to us. As the Amen, Jesus is trustworthy, constant, and unchanging. 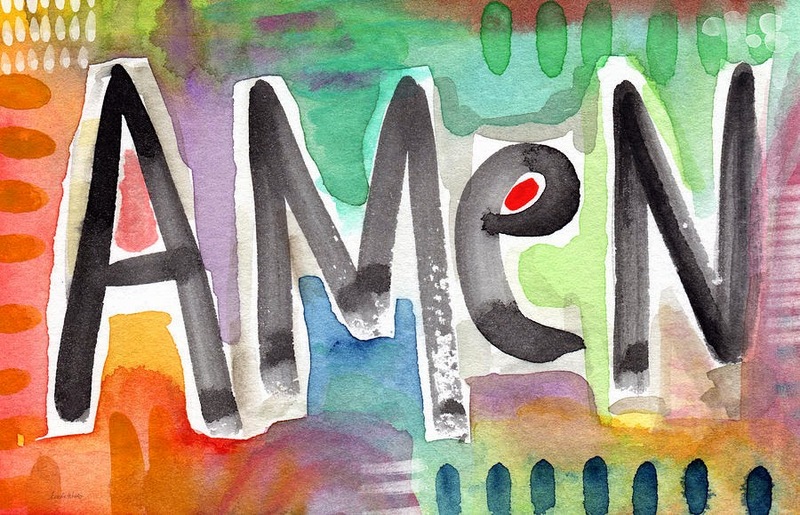 The word ”Amen,” means “so be it.” It refers to the authority and power of God that orchestrates human events. Jesus is the “it is so” of God’s promises. Some scholars have determined that the Bible contains over 3,000 promises. However many there are, this we know: For no matter how many promises God has made, they are “Yes” in Christ. And so through Him the “Amen” is spoken by us to the glory of God (2 Corinthians 1:20). Jesus understands and knows the frail condition of our hearts. He is our complete confidence through His promises. He promises rest for our weariness. He promises His Spirit to counsel and comfort us. He promises eternal life for all who receive Him. And—we are certain that Jesus died, was buried, and resurrected on the third day. He is alive—and we live in Him! Whatever we face and whatever we need, we can count on the name of Jesus. Let’s let Jesus, the Amen, be our first and last Word.